A shawl collar style all views. Top stitching trim is optional. 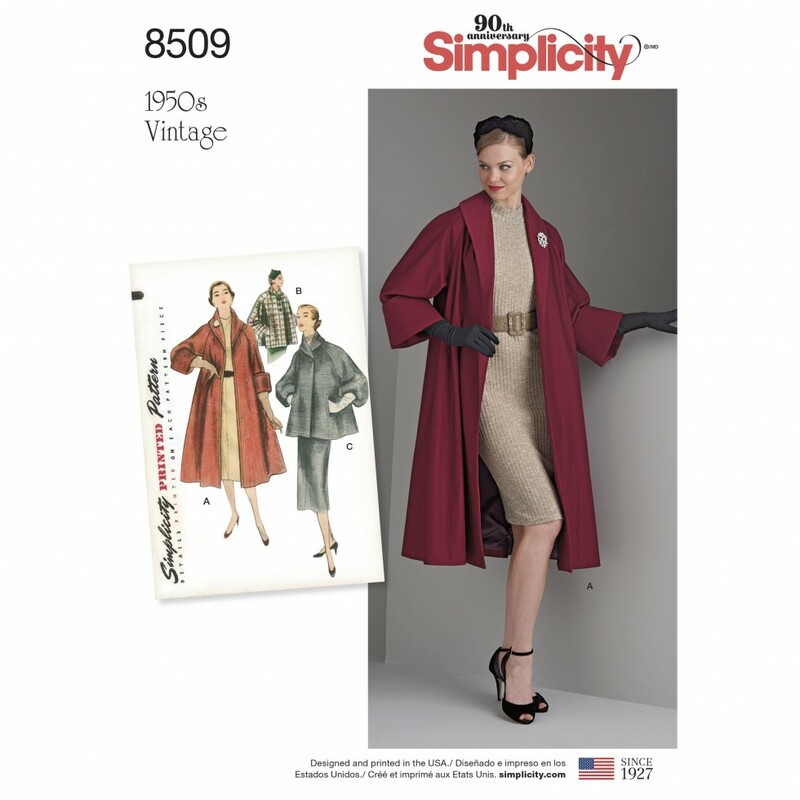 Coat, view A has three quarter length raglan sleeves with turn back cuffs. Topper, View B has long raglan sleeves with turn back cuffs. Welt pockets trim Views B and C. View C closes with one button at neck and has a band at lower edge of the one piece raglan sleeves. Simplicity authentic vintage sewing pattern circa 1950.